"The character (who hasn't got a name yet but who's well known in the Sham universe) is more a wanderer mercenary than a marine... he is very well equipped, with a few things "borrowed" from soldiers less lucky than him and fixed up with a few kicks. He loves giant weapons and thanks to them he compensates his inferiority complex caused by his not really respectable body size. He is always looking for some ladies/aliens to save to ask them for a good reward." 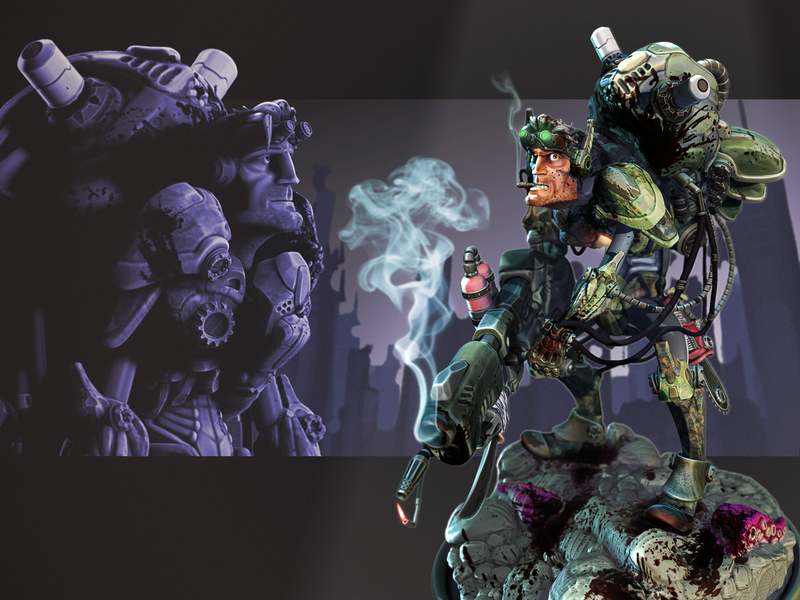 I've done this for the "Sham Universe" Contest... Modelling, texturing and posing was done 90% with zBrush.